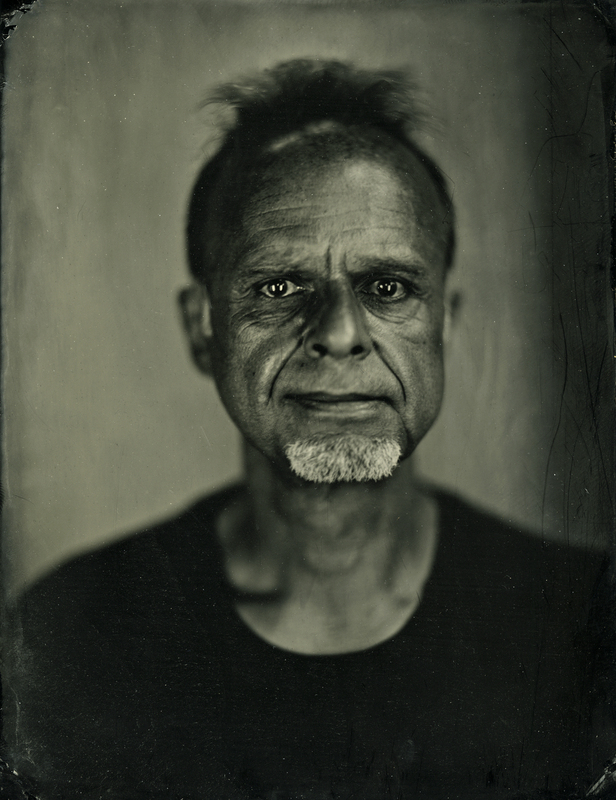 Tintype portrait of artist Manuel Schmettau that I made on his visit to my studio with Ann Stoddard (a colleague from the Wofford College fine arts faculty). Whole plate (6.5″ x 8.5″), 19th century wet plate collodion. 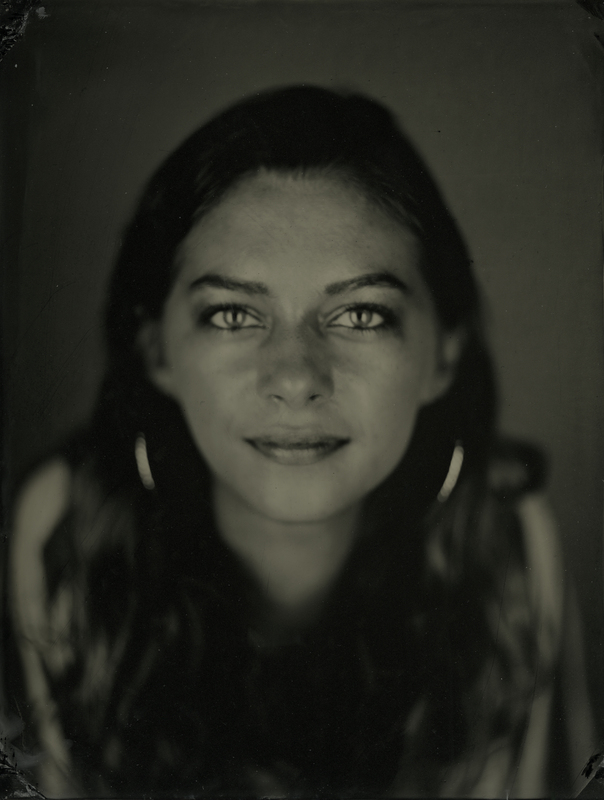 Whole plate tintype (6.5″ x 8.5″). 19th century wet plate collodion process. 7 sec. exposure under 12 6500K UV tubes. I made this portrait in my studio at Taylors Mill.